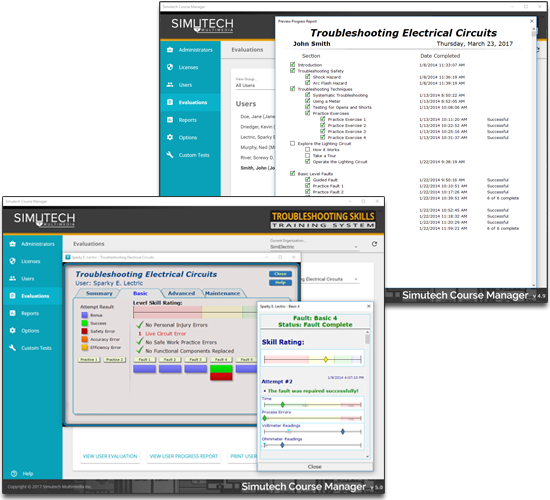 With the Simutech Admin Portal, instructors can manage the troubleshooting learning experience for as few as five students through to the largest groups and all sizes of groups in between. 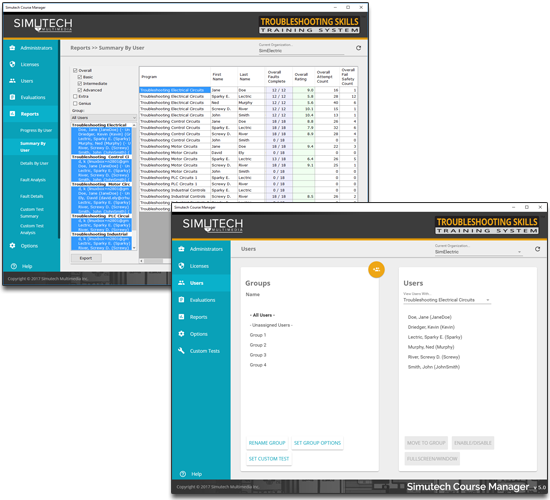 Providing administrators and instructors with convenient access and control, the Simutech Admin Portal handles student registration and helps administer groups. From registration through to the issuing of a customized certificate of completion, the Simutech Admin Portal is a unique, one-stop learning management system that provides performance-based measurement of a skill that industry demands.